According to the old saying, time flies when you’re having a good time. For the people in 1987, retirement investing was new for the majority of federal employees. So much has happened since that time. Today, when federal employees retire, they’ve got income from FERS, TSP, and Social Security to replace pretty much the income they earned while they were working. -FERS basic retirement benefit could be decreased for part-time work schedules, age penalties (should you retire early) and survivor benefit elections. You may also have to give some of the amount to a former spouse. -FERS withholdings are taxed by the federal government (and possibly state too). You also have insurance premiums to consider here. -Your Social Security benefit will be subjected to federal income tax, and some states will also tax the money you get from SS. -You’ll pay a premium for enrolling in Medicare Part B using the money in your Social Security retirement benefit. 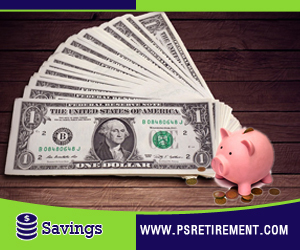 -TSP payments you get after you retire could be subjected to both federal and state taxes. 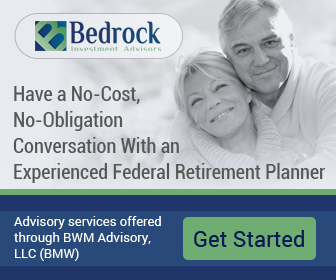 It’s important to understand how your retirement income will be affected by all the tax withholding so that you can figure out what your net retirement income will be. By doing this, you can rest assured that you have more than enough income to meet your current and future obligations. Many people tend to spend their net income, which is why you should produce the same net income as you get in a biweekly salary. 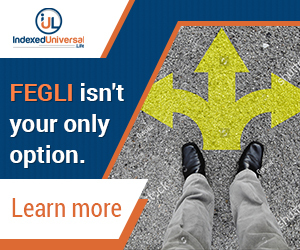 After all, most of your expenses are unlikely to go down when you retire. -You may no longer have a mortgage, but the house will still need to be maintained. You’ll still have to deal with property taxes and homeowners association fees and dues. -You may have children in college, getting married, vacations, etc. Do you want to spoil your grandchildren while you’re at it? -You don’t have to worry about business wear or commutes, but you do have other ways in which your retirement money will be spent. It’s imperative to have a solid financial plan. You have to prepare for the possibility of healthcare costs and long-term care. You have to do some estate planning and mentally prepare yourself for the next step in life. Coming up with your potential income from CSRS or FERS is fairly easy. In the majority of cases, you can ask for help from a retirement specialist to paper the estimate starting on the date you want to retire. If you want to know what your Social Security retirement income will be, you may need to visit www.ssa.gov to see your personal benefits statement. You can get one through the mySocialSecurity account or ask for one by mail, by phone or by going to your local Social Security office. The SSA mails out these statements to people 60 and older who are still working and not getting SS benefits or those who do not have a My SS account. The statements are sent out three months before your birthday. To estimate the TSP investment income is a bit harder to do. After all, you’ve got three ways in which to produce income from a TSP investment. The first thing you need to do is found out how much monthly income is necessary to supplement the Social Security and FERS benefit and withdraw a certain amount every month (allowing for taxes). If you take out too much early on, you may end up out of money before you know it. An important rule to remember is not to withdraw more than four percent of the account balance in one year. This is why the TSP provides another option – withdraw your payments each month based on your life expectancy. The younger you are, the payments will be smaller. As you get older, your life expectancy drops and payments rise. Regardless of the withdrawal option, the balance in the TSP is still invested, and you could get inter-fund transfers while you get payments. Annuities: Are They A Good Thing For TSP Accounts? On top of that, annuities bought today are locked into the three percent annuity interest rate index for the life of the annuity. If the rates rise in the future, you’re out of luck. The takeaway though is that your money doesn’t run out. If you choose to increase payments, the payment is adjusted every three up to three percent to account for future inflation. 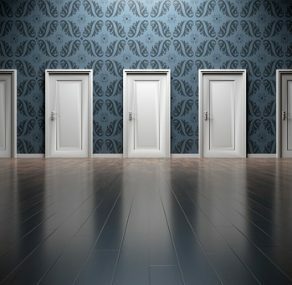 There’s no reason to settle with just one withdrawal option – you can do a combination of them if you want. However, it’s best to learn what you can about the options and talk to a TSP retirement specialist. 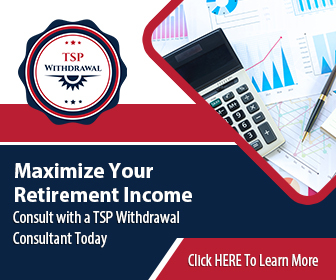 Some or all of your TSP investment can also go into an individual retirement account (IRA) that allows you to make other investments or buy annuity products. However, before you choose to move money from the TSP, make sure to talk to someone about it.